The theme for Women’s History Month in 2017 is “Honoring Trailblazing Women in Business and Labor.” Throughout March, we’ll be sharing the stories of sorority women who made history in these areas. The efforts of these sorority women advance the cause of all women, and we are grateful for their efforts. 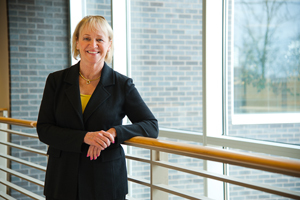 Meet Susan Shannon Engeleiter: CEO of Data Recognition Corporation (DRC), first woman to hold the position of administrator of the U.S. Small Business Administration, and a proud sorority woman. Engeleiter was initiated into the Omega chapter of Delta Gamma at the University of Wisconsin – Madison in 1970 where she studied English and communications. She later earned a Juris Doctor from the University of Wisconsin Law School. After completing her law degree, Engeleiter entered politics and became the youngest woman, at age 22, to ever have been elected to serve in a state legislature in the United States. She was elected to the Wisconsin State Senate in 1980, where she served as the assistant minority leader from 1982-84, and as minority leader from 1984-89. Engeleiter ran for a U.S. Senate seat in 1988, but was defeated by a narrow margin. In 1989, President George H.W. Bush nominated her as the administrator of the Small Business Administration. She was the first woman in history to hold this title, and served in the position until 1991. During her term as administrator, Engeleiter was also appointed chairwoman of the National Women’s Business Council. From 1991-96 she served on the President’s Export Council. She worked for Honeywell International Inc. as the vice president of government affairs leading the Honeywell Home and Business Control business and working on legislative and regulatory initiatives to support the organization’s goals. Engeleiter joined DRC as the president and chief operating officer in 1998, and was promoted to her current role as CEO and president of the company in 2006. As the leader of DRC she manages 12 locations, 650 full-time employees and 5,000 seasonal employees who provide education, survey and document services to clients throughout the U.S.
Meet the youngest self-made female billionaire in America: Sorority woman Sara Blakely. Blakely is the founder and sole owner of Spanx, a shapewear company that has taken the world by storm in the past two decades. She is also a member of Delta Delta Delta from Florida State University. Blakely’s journey is unlike many other entrepreneurs. She credits failure for propelling her to the top of her industry. Every week at dinner growing up, Blakely’s father would ask her and her brother, “What did you fail at this week?” They would rejoice and celebrate her failures. She said in an interview with CNBC that, “The gift he was giving me is that failure is when you are not trying. Failure is not the outcome. It's really allowed me to be much freer in trying things and spreading my wings in life." Growing up, Blakely had always dreamed of being a lawyer, but failed the entrance exams: not once, but twice. She then worked in sales selling fax machines. Spanx was born when she saw a need for comfortable shapewear that fit the modern woman’s needs. Blakely had never taken a business class, had no training, no retail experience and was entering a steadily declining market. Regardless, she was driven by a purpose and a cause she believed in; one she knew would help make a difference in the lives of women. And, she was guided by the principle that even if she failed, she had tried and she could learn and grow from it. Today, Blakely speaks often about her experience and why we should not fear failure; rather we should celebrate it. And, the value of philanthropy instilled through her sorority experience is still near and dear to her heart. She created the Sara Blakely Foundation to donate millions to charities around the world, focusing on those that empower underserved women and girls. Additionally, in 2013, she signed the Giving Pledge to donate at least half her wealth to charity. Labor law trailblazer Bessie Margolin was born in Brooklyn, New York, in 1909 to Russian, Jewish immigrants. Change came quickly to Margolin at a young age; at the age of two, her family moved to Tennessee and then her mother died. Shortly after, she and her brother were sent to live at the Jewish Children’s Home in New Orleans. She received a bachelor’s degree from Newcomb College in 1929, a women’s college and affiliate of Tulane University, where she became a member of Alpha Epsilon Phi. After earning a law degree from Tulane, she went on to get a doctorate in law from Yale University in 1933. At this time, law firms didn’t hire female attorneys, so Margolin turned to the government. She began working for the Tennessee Valley Authority, a government-owned corporation providing electric utilities to the Tennessee Valley region. During her time at the TVA, she worked as a research attorney, an associate attorney and eventually was promoted to senior attorney after having organized evidence, researched legal issues and written briefs for two cases that were seen by United States Supreme Court. 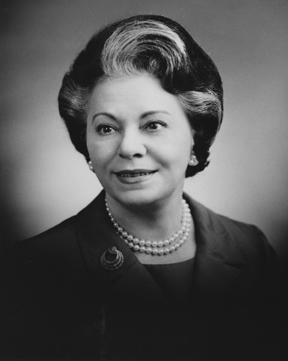 Margolin left the TVA for the U.S. Department of Labor in 1939 and after learning the ins and outs of the Fair Labor Standards Act, she was promoted to assistant solicitor in charge of Supreme Court appellate litigation. Following World War II, Margolin worked for the U.S. Department of War during the Nuremburg Trials, drafting original regulation for the military tribunals. By the 1960s, Margolin had garnered enough acclaim to be recommended to President Lyndon B. Johnson for appointment to the U.S. Court of Claims. In 1966, Margolin assisted in the founding of the National Organization for Women, nicknamed NOW. She retired in 1972 having argued 24 cases in front of the Supreme Court and winning 21 of them. Following her retirement, Margolin served as an arbitrator and occasionally taught at George Washington University. She died in Virginia on June 19, 1996. Margolin was known for her independence and intelligence in a field dominated by men. Marlene Trestman, author of “Fair Labor Lawyer: The Remarkable Life of New Deal Attorney and Supreme Court Advocate Bessie Margolin” said, “[she] played the woman card because it was the only one she was dealt.” Instead of allowing her femininity to be a chip on the shoulder of her career, Margolin used her status as a strong woman to blaze a trail for other women to follow in her footsteps. Earnst, D. (2013, May 22). Bessie Margolin (1909-1996). Legal History Blog [Web log]. Retrieved from http://legalhistoryblog.blogspot.com/2013/05/bessie-margolin-1909-1996.html. Book, B. (2016, August 31). Breaking glass ceilings: Bessie Margolin and “the woman card.” Jewesses with Attitude [Web log]. Retrieved from https://jwa.org/blog/breaking-glass-ceilings-bessie-margolin-and-woman-card. As we approach April and Advisor Appreciation Month, the University of Illinois College Panhellenic Council is taking time to recognize those who serve its community. 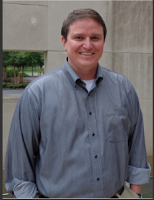 Andrew Hohn is the assistant director of Fraternity and Sorority Affairs at Illinois and a past recipient of the NPC Outstanding Panhellenic Advisor Award. Andrew is an incremental part of UIUC’s Office for Fraternity and Sorority Affairs. He always makes time for the executive board members and we always feel welcome to go to him with any questions. Since day one Andrew has never ceased to amaze us with the knowledge and enthusiasm he has for sororities and fraternities on our campus. On top of that, he is always wanting to learn more about certain topics and situations, so he can be as educated as possible. Kenzie Finks is a graduate assistant for the Office of Fraternity and Sorority Affairs and oversees the Panhellenic Council at Illinois. Kenzie takes the time to attend all Panhellenic events and meetings. Doing so proves she is committed to her position as our advisor. She was Panhellenic president for two consecutive years at Millikin University in Decatur, Ill. With her expertise she has given all of the current Panhellenic officers’ phenomenal advice and is always looking for ways to help us individually. Both advisors encourage us to do what is best for the community and the Illinois Panhellenic Council is grateful for their unending support and friendship. At our upcoming bi-weekly chapter president meeting, March 29, we are discussing Advisor Appreciation Month and honoring chapter advisors, too. 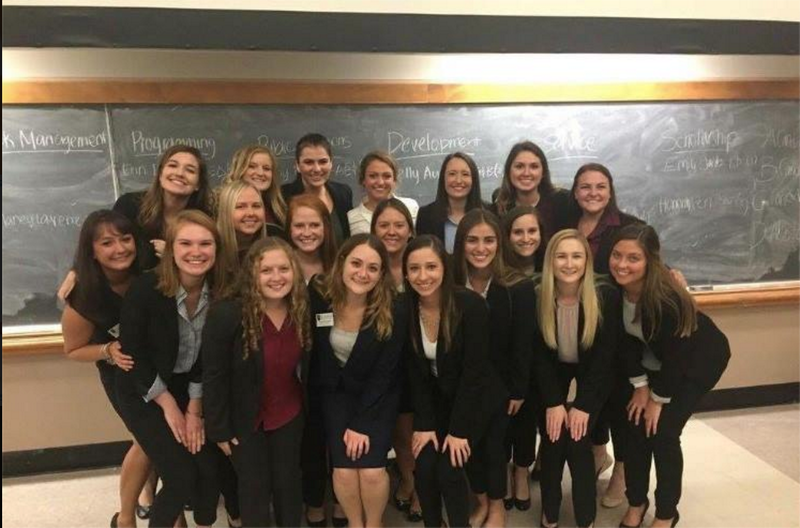 To thank the advisors of individual chapters, 25 within the Panhellenic Community at Illinois, our College Panhellenic sends every chapter advisor a small gift card and thank you card signed by all the chapter presidents and their executive officers. Sometimes we are so busy that we forget these advisors are volunteers who have an interest in bettering the Illinois community. We encourage other chapters and College Panhellenics to take time in April to say thank you to your advisors. By doing so, we all invest in the future of the Panhellenic community. My daughter was a competitive rower; a grueling, exhaustive mental and physical sport. Rowing ... not for the weak hearted! The lessons she learned in a sport dependent on building a strong team and pushing oneself to physical limits included determination, patience, diplomacy, strategy and self-belief. She and thousands of other young women benefit daily from the skills developed through sports, which follow them into college and careers. The theme of Women’s History Month is “Honoring Trailblazing Women in Business and Labor.” Countless women, like the founders of the 26 National Panhellenic Conference (NPC) inter/national sororities, have faced what might seem like insurmountable challenges. In sports, consider the benefits of athletics and the obstacles women face. We’d like to honor them too. Their stories also feature unceasing determination, breaking glass ceilings, realizing success and continuously blazing trails. NPC salutes and celebrates all women who are “trailblazers” during the month of March and beyond! Learn about more history-making sorority women on the #Iwearabadge Pinterest board. The theme for Women’s History Month in 2017 is “Honoring Trailblazing Women in Business and Labor.” Throughout March, we’ll be sharing the stories of sorority women who made history in business and labor. The efforts of these sorority women advance the cause of all women, and we are grateful for their efforts. Advertising trailblazer Mary Wells Lawrence was born May 25, 1928, in Youngstown, Ohio. Lawrence became a member of Kappa Alpha Theta at the Carnegie Institute of Technology in Pittsburgh, Penn., where she studied for two years. The start of Lawrence’s advertising career came in 1951, when she worked as a copywriter for McKelvey’s department store in her hometown. After relocating to New York City the following year, she became Macy’s fashion advertising manager. Lawrence then worked as a copywriter and copy group head at the advertising agency McCann Erickson. In 1957 she took a job at Doyle Dane Bernbach as a copywriter, and eventually served as the vice president-associate chief copy editor there. The smaller agency was shaking up the advertising world with its creative campaigns. Then, she was enticed to leave DDB with a jump in salary and a leadership role by Jack Tinker & Partners. There she garnered notoriety in the advertising world with her campaign for Braniff International Airways, “The End of the Plain Plane." When the agency denied promoting her to president in 1966 because she was a woman , she left and became the founder and president of her own advertising agency, Wells Rich Greene, making her the first woman president of an advertising agency. Well-known clients of Wells Rich Greene included: American Motors, IBM, RC Cola and Sheraton Hotels & Resorts. Her agency was responsible for many notable campaigns such as “Plop plop, fizz fizz” for Alka-Seltzer and “I Love New York” to promote tourism in New York City. 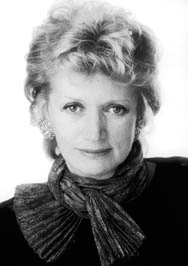 In 1990 she stepped down as CEO and sold her firm to Boulet Dru Dupuy Petit. Her accolades in the advertising world include working on campaigns that received Clio awards, being the youngest writer at age 40 to enter the Copywriting Hall of Fame and being inducted into the Advertising Hall of Fame by the American Advertising Federation in 1999. In addition, President Ford asked her to serve on the President’s Council on Inflation and to be the business representative at the first international economic summit held in Washington, D.C. A memoir entitled “A Big Life (in Advertising)” commemorating her life and career was published in 2002.